Alleged bomber Ahmad Rahami was more seriously injured in the shootout with police than initially reported, law enforcement officials say. Officials say Rahami, the 28-year-old naturalized citizen from Afghanistan, was shot at least 11 times in Monday's confrontation with Linden police that led to his capture. At least one bullet narrowly missed vital organs, officials said. Rahami is sedated and intubated at a hospital in New Jersey, where he is being held on state charges of attempted murder of a law enforcement officer. He also faces federal terror-related charges, but will not be arraigned on those until he is transported to New York. Despite new reports of more serious injuries, officials say Rahami is still expected to survive. On Wednesday, authorities released an image of Rahami's blood-stained journal, a bullet hole piercing the small booklet that was found in the alleged bomber's possession when he was captured after the shootout. The journal paints a chilling picture of a man rife with anti-U.S. sentiment who praised leaders of terror groups and wanted to make a martyr of himself. Ahmad Khan Rahami, a suspect in the bombings in New York City and a shore town in New Jersey, immigrated to the United States from Afghanistan and lives in New Jersey, where his father owns a fried chicken restaurant. News 4's Brian Thompson reports. 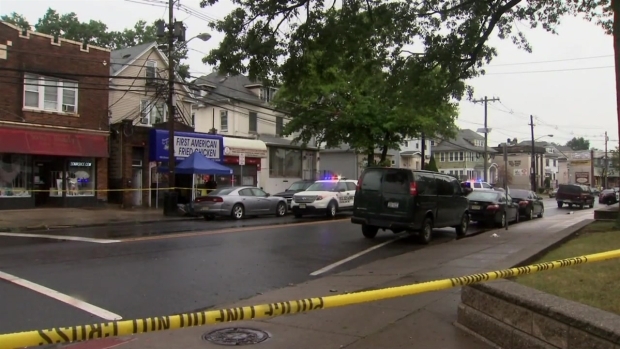 Authorities have said Rahami had a gun and extra ammunition on him when police encountered him sleeping in the doorway of a bar in Linden Monday. Federal officials said Thursday the weapon was bought in Virginia. They say Rahami has a younger brother in the Roanoke area and bought the gun during a visit. The federal complaint filed against Rahami in lower Manhattan court this week charges him with the use of weapons of mass destruction and bombing a place of public use, among other crimes. He allegedly planted the pressure cooker device that blew up on 23rd Street in Chelsea Saturday, injuring 31 people, and another device that exploded in a trash bin along a Marine 5K race route in New Jersey hours earlier. Officials allege Rahami is behind the cluster of pipe bombs found near a commuter rail station in his hometown of Elizabeth, N.J., late Sunday, and an unexploded pressure cooker on 27th Street, blocks from the blast site that rocked the city on a warm summer night. Surveillance video captures Rahami at both Manhattan scenes, officials have said. One video exclusively obtained by NBC 4 New York shows him wheeling a piece of luggage to the 27th Street site, presumably with the bomb inside. The pressure cooker on 27th Street had 12 of Rahami's fingerprints on it, according to law enforcement officials, but other fingerprints were on the device as well. That's one reason the FBI and NYPD want to find the two men who walked away with the luggage the bomb had been in, leaving the device behind. Officials want to see if any of the additional fingerprints on the device belonged to either or both of the men; they also want to recover the luggage. Authorities released a photo of the men Wednesday. They said they are being considered witnesses in the case.